Medicated Follower of Fashion: Ideas for expectant mum's - Baby Beau changing bags. Ideas for expectant mum's - Baby Beau changing bags. If, like me, you are pregnant, the chances are you are planning (with care!) your choice of changing bag and travel systems. As you will know, I'm pregnant with my second child, so this isn't quite as applicable to me, though I have to say that it's 4 years since I was pregnant with Ethan so despite already having most baby "stuff" I do want a few new things... Something I want is a new changing bag. I used my previous one (a lovely Pink Lining number) loads and it's looking a little... worn! Probably because it was second hand when I bought it (I wanted one with a design they didn't stock any more so it was harder to track down!). Anyway, whatever the reason (most likely that I just like to have something new!!) I want a new changing bag. Since I had Ethan, the market for changing bags has exploded!! It's a tough choice now and it's much easier to find something that is stylish as well as practical. As a style blogger, this is important to me!! Probably the most stylish changing bag brand out there is BabyBeau. Babybeau were created by Rebecca Gono, a mum who felt there was a gap in the changing bag market for stylish, fashionable and practical changing bags. They have been on my radar for a while now, and I'm not the only one. These bags are practical and SUPER stylish and as a result are especially popular with celebrities such as Tia Mowry (remember her from Sister Sister? I loved that show!). You can see Tia here talking about the Eden changing bag which is her favourite "diaper" bag. I can see why. Of all the bags BabyBeau sell, this would be my pick as well! It's true, you'd never know if was a changing bag. The leather looks so soft. If anything says "Congratulations on getting through 30 hours of labour" this is it. We all deserve a treat! BabyBeau bags are high end changing bags, but you get what you pay for. The Eden for example retails at £220. There are many of us who like to splurge on a handbag and let's face it, the changing bag you choose will effectively be your handbag for at least two years. My current hand bag is a beautiful Marc Jacobs number (a very special treat to myself a year ago) and it's going to be hard to go back to lugging a changing bag around again instead. Whatever I choose, I want to LOVE it. Baby Beau currently have a sale on (up to 50%) so if you are a pregnant or new mum looking for a changing bag, it might be worth checking out their site. 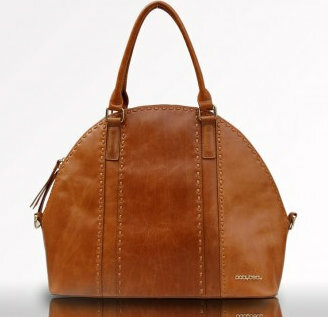 Other bags (in the sale) retail from £107.50. Not quite such a hefty price tag. Perhaps you have a partner who is planning on being a stay at home Dad? They stock men's changing bags as well (I think the men's ones would suit women as well actually, they look lovely). I know that I'd love to be sporting a babybeau bag along with my new baby!! I appreciate examining in addition to following your current article once I notice them incredibly useful in addition to exciting. this text is equally helpful in conjunction with exciting. Appreciate it with affiliation details a non-public already been gaining making your diary such Associate in Nursing exciting.